Join Matthew Walker Comprehensive Health Center (MWCHC) as we host a benefit breakfast honoring the life of Dr. Matthew Walker, Sr., a pioneer in Nashville medicine. The purpose of this gathering is to recognize the life of Dr. Walker, as this center bears his name. Dr. Walker was one of the first African Americans voted into the Nashville Academy of Medicine and was on the Board of Hospital Commissioners of Nashville General Hospital. He founded Meharry Neighborhood Health Center in 1968, which was later renamed Matthew Walker Comprehensive Health Center. 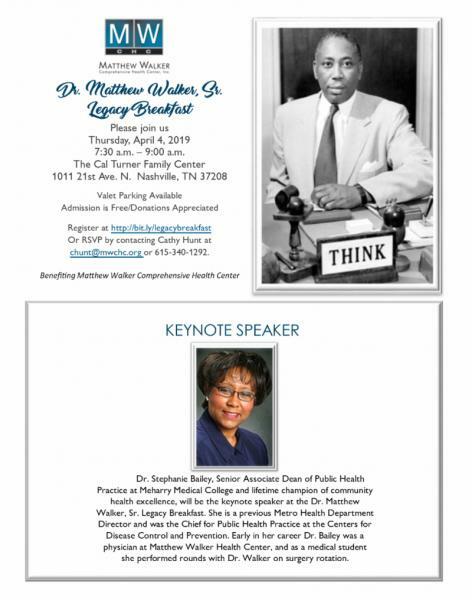 The Dr. Matthew Walker, Sr. Legacy Breakfast will take place in The Cal Turner Family Center at Meharry Medical College and will feature a keynote address by Dr. Stephanie Bailey, Senior Associate Dean of Public Health Practice at Meharry Medical College. 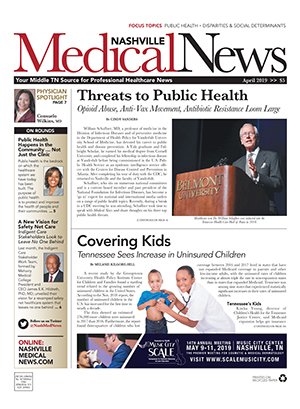 She is a previous Metro Health Department Director and was the Chief for Public Health Practice at the Centers for Disease Control and Prevention. 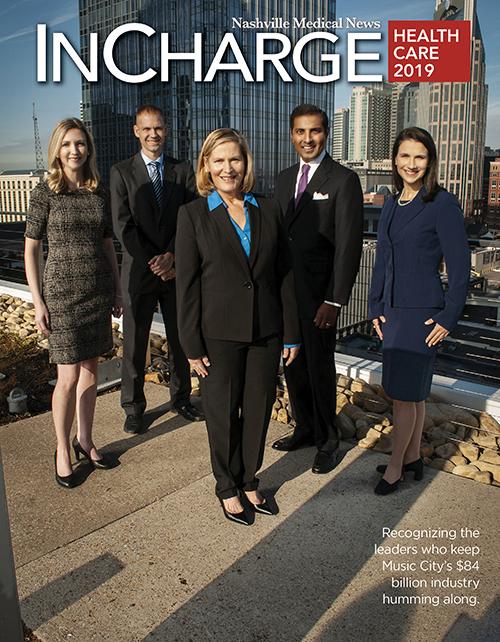 Early in her career, Dr. Bailey was a physician at Matthew Walker Health Center, and as a medical student she performed rounds with Dr. Walker on surgery rotation. The event is free to the public, and donations are appreciated, with all proceeds benefiting Matthew Walker Comprehensive Health Center. To purchase multiple tickets, select "Add Attendee" on the registration form. If you can't make the event but want to support, please feel free to make a donation.